Having the opportunity to attend the Ewha Women’s University Co-Ed College Program in the summer of 2016 was by far one of the best and most memorable experiences of my life. As a Korean-American growing up in California, I have always felt a presence of Korean culture around me but I have never had the chance to truly immerse myself in it and embrace it. Well, as soon as I stepped off the plane at Incheon Airport, I knew that I had committed myself to something that would be the trip of a lifetime. My first week at Ewha I was just overwhelmed at the opportunities around me, from being able to go out into this new and lively city on my own, to meeting so many new people both native Korean and international. I was lucky to have such a great roommate from the Philippines who had a lot of knowledge about current Korean culture and was always there to exchange stories of our days’ adventures. 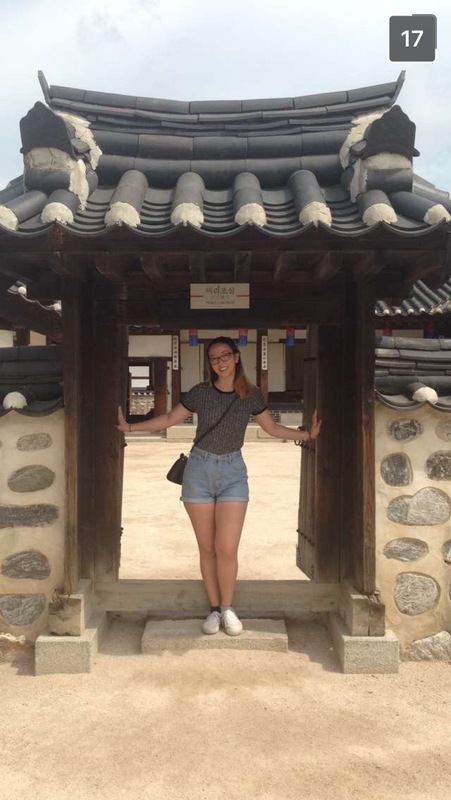 The most important decision I made was to go on the first week’s field trip to the traditional Korean Folk Village, because I not only connected with people in my PEACE Buddy group but I also made great new friends from all different countries of the world. After that trip, I found my closest and best friends at Ewha. Not only that, but my PEACE Buddy who was an amazing, kind, and generous resource and friend really began to show us where to explore in the neighborhood surrounding Ewha, as well as Sinchon, and the greater area of Seoul. 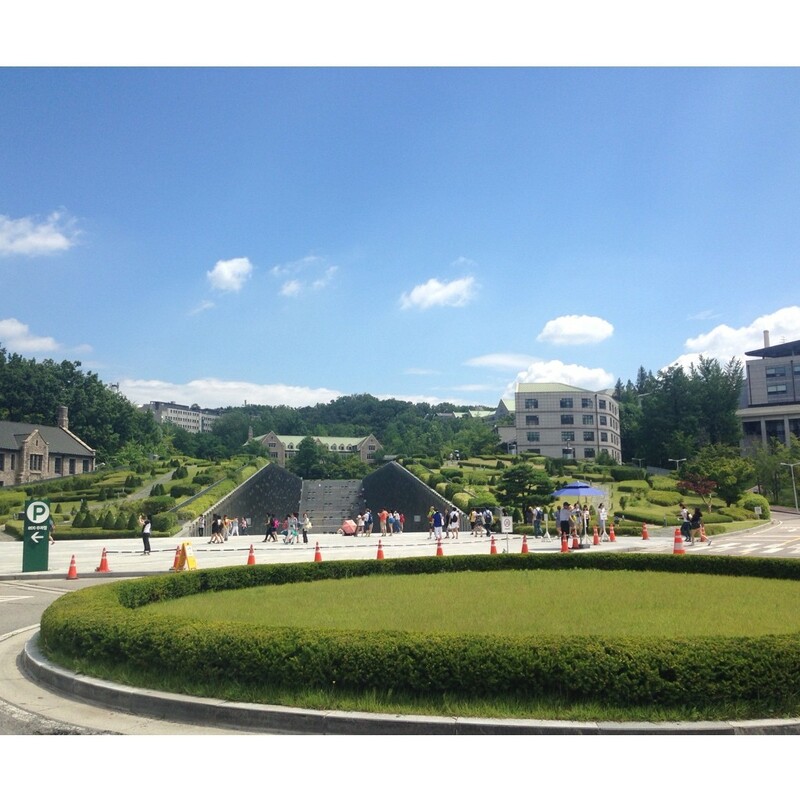 The University itself provided great resources, from the beautiful dorms shared amongst students in the program, to on-campus cafes and shops, and plenty of support from the Ewha students and faculty. 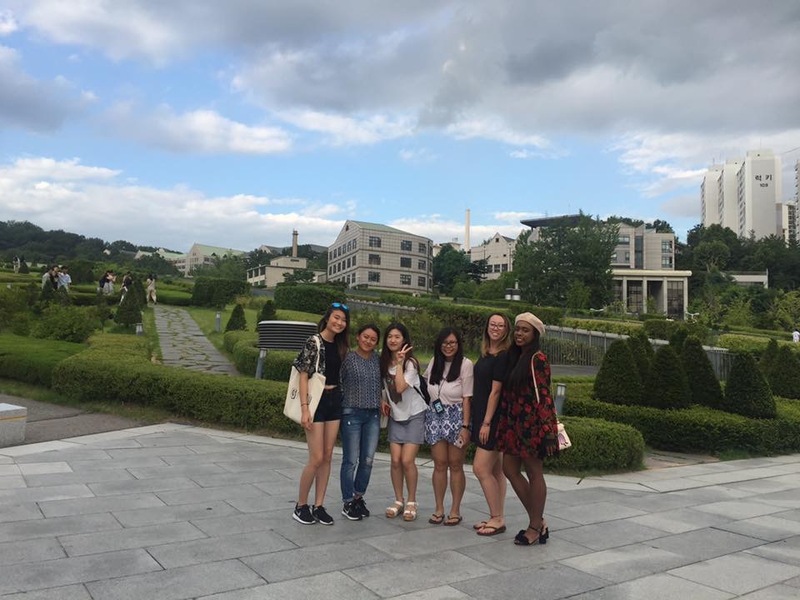 Our field trips, to the Folk Village, as well as the DMZ, Everland Amusement Park, and more were a true success from the Ewha Summer Program team. Exploring Seoul’s shops, restaurants, summer events, and cultural livelihood on a daily basis, as well as taking field trips with the 300 other co-ed college students, truly made this program so meaningful to me. To both grow as an independent college student, and as someone of Korean descent, I finally felt as if I had somewhere else to call home. 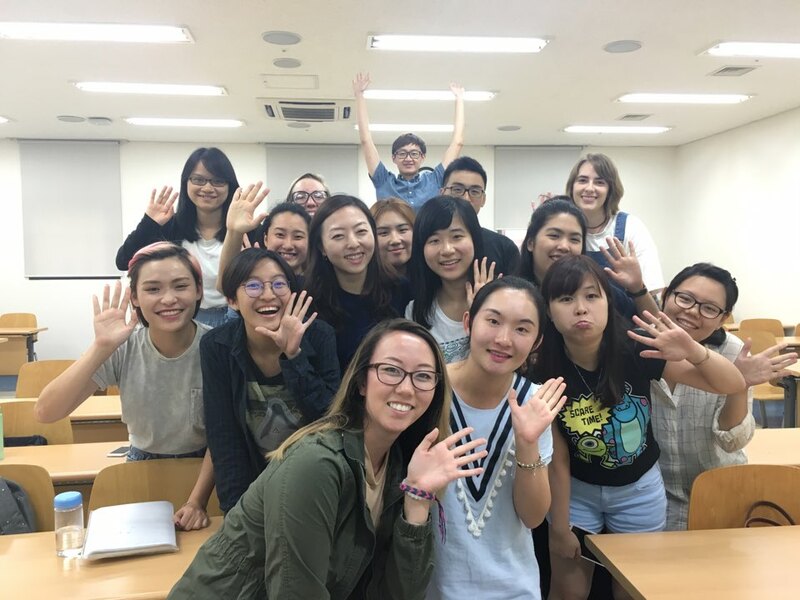 Aside from the fun of running around Seoul day and night, my classes gave me a great sense of purpose and I truly learned much more than I thought I could in 31 days. I took both Basic Level Korean Language, with two wonderful Korean teachers and a great intimate class of about 16 students, and Traditional Folk History of Korea with a truly knowledgeable and engaging professor from New York and a mix of Ewha and international students. 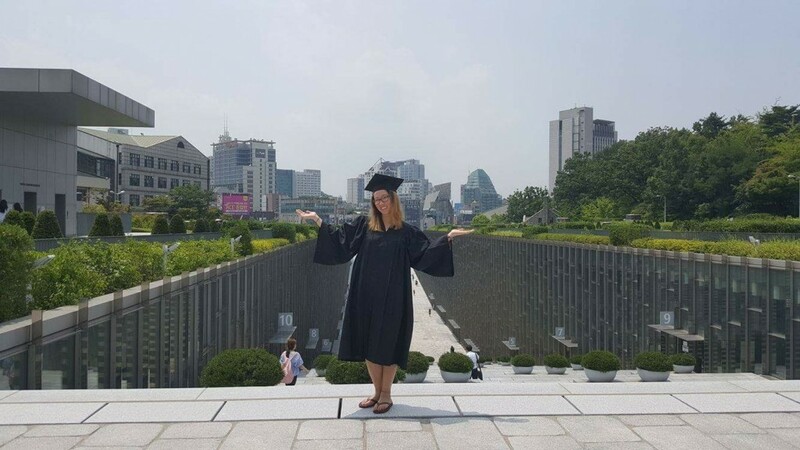 My Korean class gave me confidence in pursuing my Korean identity through language and immersion, and my Traditional Folk History class gave me an insider’s look at Seoul through history, food, folklore, and weekly field trips to the palaces, museums, and markets that I would have otherwise never seen. I know now that I would return to Seoul in a heartbeat. Having my first experience traveling alone, somewhere none of my friends have gone, and where I know absolutely no one, I easily fell in love with the city. I feel like Ewha gave me the best possible framework to experience Seoul for myself and start a connection that I will certainly return to in the near future.